When a snowball goes astray - and hits a Maharajah - Jo, Zette and their pet monkey Jocko begin an adventure that takes them from Alpine ski-slopes to a snake infested gorge in the Himalayas. 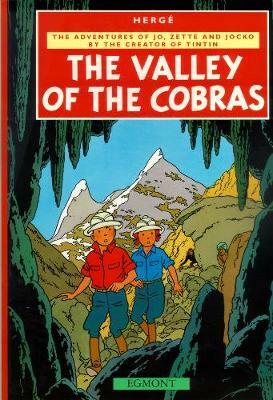 In Valley of Cobras Herge provides unforgettable characters and high drama. The Adventures of Jo, Zette and Jocko was created by Herge in the same comic book style as his most iconic character, Tintin, whose place amongst the classic children's characters still helps to sell over 100,000 copies every year in the UK, with an estimated 230 million sold worldwide since Herge first put pen to paper on him. Two of The Adventures of Tintin were adapted for the silver screen by Steven Spielberg and Peter Jackson in 2011.